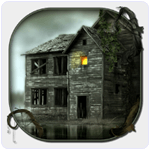 Android horror games offer real horrifying environment with horror sounds, scenes and ghosts. These games provide a chance to face real like ghosts, creatures and we have to escape from it. Android horror games are a combination of adventure and brain teasing situations. Today we provide you list of best horror games for android. These games also exercise our brain by solving various horrible situations. List Of Best Android Horror Games. It is an amazing Android Horror Game. It is based on the the story of Slendrina the Cellar. She become more evil then before and hates it when someone intruding her territory. We have to find the 8 older book and run to exit. We also have to find the keys of different door to unlock them. She will do anything to stop us. The game provide the awesome horror surroundings. Approximately 10 million users downloaded this game. 2. Eyes The Horror Game. It is another amazing in all Android horror Games with awesome graphics. It is easy to play and provide different missions to complete. In this game we have find a valuable thing which is ask to find. Survive in the building and find the things and escape from the haunting ghost. 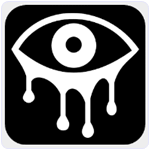 The game provide a feeling of real horrifying environment and with different horror sounds. Approximately 10 million users downloaded this Game. 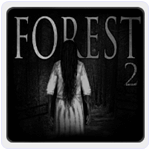 Forest 2 another amazing in all android horror games in which we have to defeat the white ghost with long black hair. We have to find the way to banish the ghost. Be quiet and hidden to escape from the ghost. Every Small movement will attract the ghost towards us. The game provide the awesome graphics with forest scenes and horror sound. It require Android 2.3 or higher version. Approximately 5 million users downloaded this App. Horror Hospital is ghost game in which we have to escape from ghosts and survive to be alive. In the hospital we have to find our friends. The only way to find the path is cellphone messages. Follow each message on our cell phone coming from our friends. 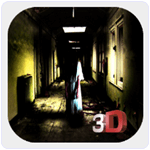 It is choice in android horror games for scary situations. In darkness environment we have to find our path only with cellphone light. Approximately 5 million users downloaded this game. 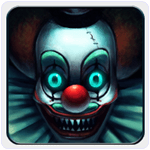 Haunted Circus is combination of horror and adventure game. The game start from an ordinary circus. But suddenly when we start walking the Circus converted into horrible circus. Horrible environment, broken lights, insufficient phone battery make this game more interesting. We have to escape from the circus and save our life. Approximately 5 million users downloaded this game. 6. Escape Haunted House of Fear. 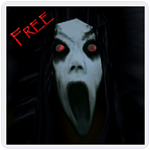 It is amazing Android game which comes under android scary games. In this game our friends are kidnapped by monsters. We have to save our friends. 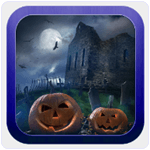 Explore this amazing and wonderful haunted house which is full of secrets. It offer high quality graphics and horror sounds. We have to find the various keys to open the door and escape from this house by solving various puzzles. Approximately 1 million users downloaded this game. 7. 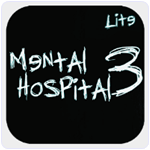 Mental Hospital 3 Lite. It is an incredible in list of android horror games which is full of horror experiences. The main character of story have assigned a job to capture the video of special forces raid in hospital. When he enter the hospital the he can not explain what he see. He lost his way while walking in the hospital and see many horror things. Breaking lights, horror sounds and invisible ghosts make the environment more horrible. Approximately 1 million users downloaded this game. It is another amazing in all best horror games for android. Let’s ready for horrible adventure in the forest. We have to find the eight different objects in the forest. We have to escape from the creatures and ghost to escape from the forest. This game offer the various brain teasing situations. Survive in the forest to be Alive. 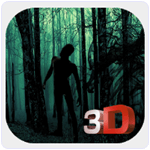 It offer awesome 3D graphics with horror sounds. Approximately 1 million users downloaded this game. It is another challenging horror game which is full of puzzles. In this game we have to explore the house to collect helpful objects. We have to unlock various doors to escape from this house by finding keys. Various ghosts and skeleton are ready for attacking us. This game make use of awesome AI which challenge our brain to solve the various puzzle in horrible environment. Approximately 0.5 million users downloaded this game. 10. Five Hours At Hospital. It is an Android horror game in which we have to escape from zombies. After leaving job from Asylum our hero found job as a security guard at hospital. A Zombie apocalypse is broken in the middle of our shift and we have to leave the hospital before zombies come. We can use security cameras to find hidden objects and zombies at different positions of hospital. We have to survive and escape from this hospital. Approximately 0.5 million users downloaded this game. These are best horror games for android with of fear and scary situations. We hope you enjoy them all.